At Rude we like to spread our wings and explore new and exciting locations outside the Alps. This is why we teamed up with a well established Villa company in Ibiza to create Rude Villas Ibiza and the Garden Festival in Croatia to create Rude Trailers Croatia. Home to Hollywood A-listers and Rockstars, Ibiza is THE place to take your summer holiday and the chicest place in the Mediterranean. Relax on some of the most magnificent beaches; Explore deserted coves; Try your hand at a whole range of water sports including sailing, windsurfing and parasailing; Wander the bustling markets of Ibiza town; Enjoy the excellent and varied island cuisine; Hangout at one of the islands renowned beach clubs; And if you like to party you can dance the night (and day) away to the hottest DJs on the planet! All the villas are under our management, so whether you’re a party-lover or a beach chiller, our Rude Villas team in Ibiza can help you experience it to the max. 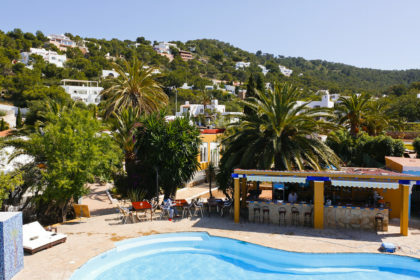 They’ve all lived on the island for years and can let you in on all the secret tips and insider knowledge to give you a completely unique Ibiza experience. 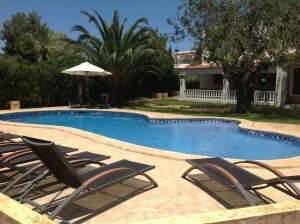 We’ve got a range of fantastic value villas for you to choose from, ranging from tranquil countryside Fincas to villas right in and around the party hot-spots of Ibiza Town, San Antonio and Playa d’en Bossa. 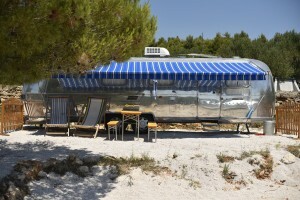 New for 2015 Rude have imported original and refurbished American airstreams to the beautiful location of Tisno, Croatia. As our newest addition to the Rude experience, take festival chic to the next level. These iconic trailers are a masterpiece of design, exciting, inspiring and the absolute ultimate in cool – and comfort. 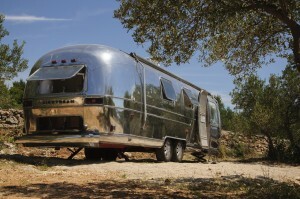 These shiny aluminium exteriors can sleep 4 people (with the option of a 5th person too). They have their own capsule shower & WC and are air conditioned. 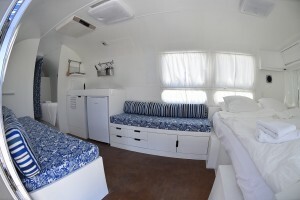 The kitchen galley is equipped for you to cook & there is a fridge to keep your beverages chilled. Outside your trailer, you can relax in the shade under the awning – outdoor furniture is provided and a couple of deckchairs too for reclining. So if its festival style your after book at one of the Garden Festival spots in July and August or if your just looking for some great accommodation in one of the most beautiful towns in Europe then book outside these weeks for a peaceful getaway.